I hope everyone is enjoying a restful day, spent with family and/or friends. My son and daughter are spending this weekend with us, which makes my husband and me very, very happy. I hope that you have a Happy Easter also. Have a fun time with your children. 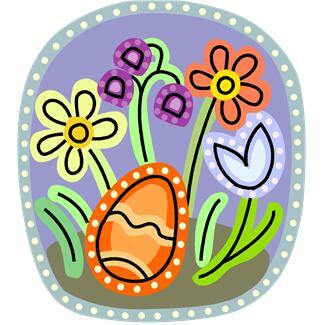 Happy Easter to you and your family and all the cozy mystery readers. Also Happy Passover. Those words of ‘wisdom!!? ?” were great MJ. Easter Sunday was great here at my house. Hope yours was the same. We had a slight rain shower early in the morning but it was very sunny, but chilly, the rest of the day. I hope the old saying “If it rains on Easter Sunday it will rain for 7 straight Sundays after.” doesn’t hold true for just a slight rain shower. A few years ago, maybe 7 or 8 years, it rained on Easter Sunday and we had 13 rainy Sundays in a row!! MJ, I agree with Linda C’s sentiments about your Easter Bunny wisdom list. Thanks! Linda, I’m trying to remember if it rained here on Easter. We just got a notice from the water department that says we may go to stage 3 drought restrictions. We are now at stage 2 – we’re only allowed to water one day a week, from 7 – 11 AM and PM. It’s not so bad for those of us who have sprinkler systems. Not so good for those who don’t. With today being the first day of the fourth month, have you played any April Fool’s Day tricks or had any played on you?